Renowned for their decadent arrangements, Ellermann Designs cater to both large-scale events and personal orders. This Valentine’s Day, Ellermann have a selection of exclusive bouquets on offer, including stunning arrangements delivered in stylish trinket boxes or glass jars for a touch of rustic romance. Offering bouquets with a personal touch, BYDEAU has a range of hand-tied flowers, vases and floral subscriptions in their collection. For Valentine's Day, choose from the vibrant Sophia bouquet, The Rosie which comes in a sweet round box or the peach-paletted Sabrina, among others. M Florist aka. the Mandarin Florist is known for its elegant arrangements in an array of colours that range from sweet, muted pastels do rich, romantic reds and pinks. Select one of their pre-designed bouquets, or go bespoke and work with their dedicated team of florists to create something that's one-of-a-kind. New Sheung Wan-based florist, M&L Floristry takes a ‘fresh, modern approach to floral design’ with a focus on wild, natural flowers and foliage. From the warm, burnt orange tones of the Gypsy Jar bouquet to this light and airy Magic Hour bouquet, there are unique styles to suit everyone at M&L Floristry . 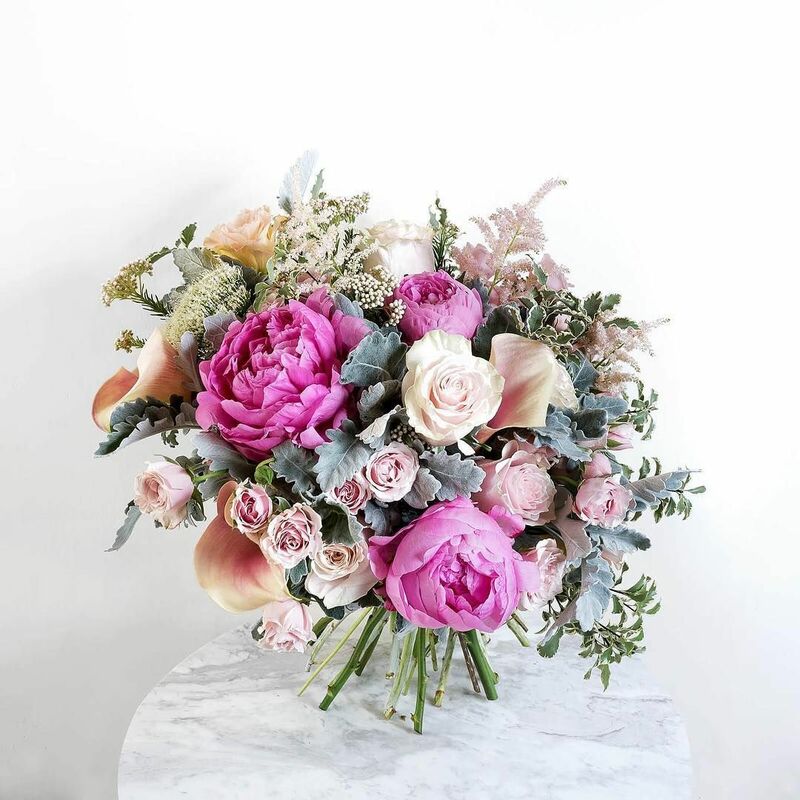 van der Bloom offers floral subscriptions and made-to-order bouquets that you can order online (or at their Hollywood Road location), which you can track with order confirmations and delivery status updates. For Valentine’s, choose from five medium-sized bouquets including Cheeky Pastel, Deliciously Romantic, A Thousand Years, Nuts For Love or Sweetest Bite.